Matthew Thornton was born in Lisburn, County Antrim, Ireland on March 3, 1714 of Scotch-Irish parents, James Thornton and Elizabeth Jenkins. When he was three years old, his family emigrated to America, settling first in what would become the state of Maine. In 1722, Indians attacked the Maine settlement in the vicinity of Brunswick (or possibly Wiscasset) where they lived. James Thornton, his wife Elizabeth, and their 8 year old son Matthew, escaped from their burning home by canoe, paddled out to Casco Bay, and proceeded from there to the Scotch-Irish town of Worcester, Massachusetts. There Thornton grew up receiving a classical education at Worcester Academy. Young Thornton pursued medical studies in Leicester, Massachusetts under the direction of Doctor Grout, a relative. In 1740, at the age of 26, he began what became a thriving medical practice in the Scotch-Irish town of Londonderry, New Hampshire. He soon became distinguished, both as a physician and a surgeon. In 1745, at the age of 31, Dr. Thornton served as a surgeon in the New Hampshire militia during King George’s War (1745-48). He accompanied Sir William Pepperell in the British expedition that captured Louisburg, the French fortress in Nova Scotia. Dr. Thornton was elected a delegate for Londonderry to the colonial assembly in 1758, and began to figure prominently in colonial affairs. He married Hannah Jack in 1760 and they had five children. Hannah’s parents were Andrew Jack and Mary Morrison, both of Scotch-Irish descent. Hannah Jack was born in 1742 and died on December 5, 1786. In 1765, Thornton was prominent in the agitation against the Stamp Act in New Hampshire, but later held a commission as Colonel of militia under Royal Governor Wentworth. In 1775 Dr. Thornton denounced the “unconstitutional and tyrannical Acts of the British Parliament”, and was elected President of the New Hampshire Provincial Congress when Royal Governor Wentworth fled from the Colony and boarded a British warship in Portsmouth. Thornton was also appointed Chairman of the provincial committee of safety in charge of raising troops and arms. Dr. Thornton was President of the five man committee that drafted the first state constitution, and it was adopted on January 5, 1776, the first of the thirteen states to establish a constitution. Thornton was then elected to the new state legislature and elected Speaker of that assembly. In September 1776, Dr. Thornton, at the age of 62, was chosen a delegate to the Continental Congress, and took his seat on the 4th of November 1776. Although Thornton was not present during the debates on independence or when 50 of the delegates signed the Declaration on August 2, he became one of six signers who did so in the following months. 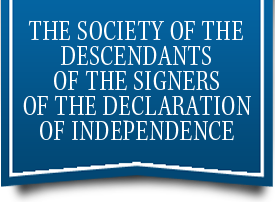 All six of these signers fully supported the sentiments in the document, and were permitted to affix their signatures to the engrossed copy of the Declaration of Independence. Despite having no legal education, Thornton served as chief justice of the Court of Common Pleas, the superior court of New Hampshire, from 1776 until 1782. After serving in the Continental Congress for only a little over a year, he left Congress and resumed his duties as associate justice of the Superior Court. In his seventies he served in the New Hampshire State senate from 1784 until 1786. In 1780, he purchased a farm on the banks of the Merrimac River, near Exeter, where he devoted himself to the business of agriculture. He spent his last years farming and operating a ferry—Lutwyche’s (later Thornton’s) Ferry—across the Merrimac River. The house and ferry he purchased had been confiscated from a prominent Tory—Edward Gladstone Lutwyche. Although often exposed to the whooping cough, Thornton did not catch the disease until he passed his eightieth year, and he survived the attack. 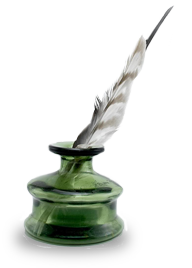 He continued to write essays and letters to newspapers on various topics well into his eighties, including an unpublished work on the metaphysical origins of sin. Dr. Thornton exceeded six feet in height; his complexion was dark and his eyes black and piercing. At the age of 61 he was described as tall, clear-eyed, handsome and charming. He was described as a man of strong powers of mind, and on most subjects to which he directed his attention, was able to elicit light and information. In private life, he was peculiarly instructive and agreeable. The young were delighted with his hilarity and humor. His memory was well stored with entertaining and instructive anecdotes, which he was able to apply upon any incident or subject of conversation. He often illustrated his sentiments by fable. He delighted to amuse a circle of an evening by some fictitious narrative, in which he greatly excelled. At such times, placing his elbows upon his knees, and supporting his head with his hands, he would rivet the attention of his auditors, and astonish them by his powers of invention. In satire he was scarcely equaled. And although he sometimes employed his power immoderately, he was universally beloved, and occupied a large share of the confidence of his neighbors. Thornton died while visiting his daughter in Newburyport, Massachusetts on the 24th of June, 1803, at the age of 89. His original gravestone was inscribed, “An Honest Man.” On May 22, 1892, New Hampshire dedicated a monument honoring Thornton’s memory located at the entrance to the Thornton Ferry Cemetery in Merrimack, New Hampshire, where he is buried. The Matthew Thornton Chapter of the Daughters of the American Revolution placed a bronze marker at his grave, which reads, “Revolutionary Soldier, Matthew Thornton, 1775-1782”. 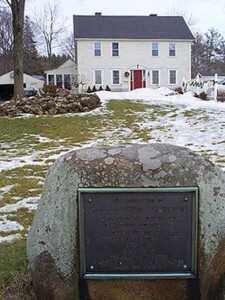 In the village of Thornton’s Ferry, Merrimack, New Hampshire, in the northbound lane of Route 3, there is this highway marker: “One of three New Hampshire men to sign the Declaration of Independence, Matthew Thornton, physician, soldier, patriot, agitated against the Stamp Act of 1765, presided over the Provincial Congress in 1775, served in the State Senate and as an associate justice of the Superior Court. The nearby monument honors his memory. He is buried in the adjacent cemetery. His homestead stands directly across the highway.” The signer’s house and Matthew Thornton Cemetery were listed on the National Register in 1978. Thornton’s previous residence was designated a National Historic Landmark in 1971. Thornton’s previous residence, on 2 Thornton Street, in Derry, New Hampshire was listed on the National Register and designated a National Historic Landmark in 1971. 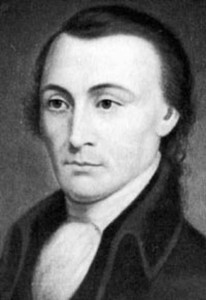 The town of Thornton, New Hampshire was named in his honor, and there is a Matthew Thornton High School in Londonderry, New Hampshire. In Washington, D.C., near the Washington Monument, is a memorial park and lagoon celebrating the signers of the Declaration of Independence, and one of the 56 granite blocks there is inscribed with the name of Matthew Thornton. This is not enough genealogical information to establish that Fred was a descendant of the Signer Matthew Thornton.